The TV wagons are lining up already for the scheduled arrival of Representative Gabrielle Giffords to the Medical Center. 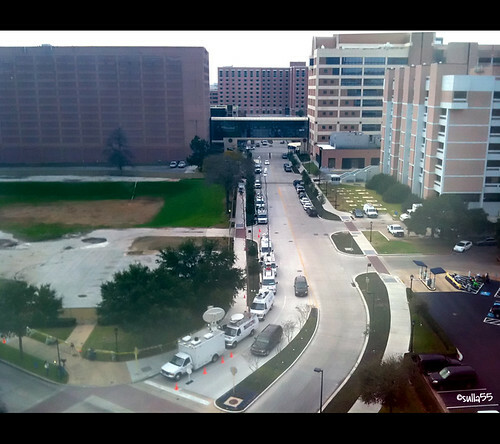 This picture by Houston Press reader Sulla55, taken from a nearby building, gives some taste of what's to come when Giffords arrives at The Institute for Rehabilitation and Research tomorrow. We can only hope the Medical Center Starbucks is ready for the onslaught.